Shock absorbers and struts last a long time and wear out pretty slowly for most vehicles in the Nanaimo area. They're easy to take for granted, but your shocks and struts do a very important job so you need to pay attention to them. They keep your tires on the road; and your tires are what connect your vehicle to the road and allow you to safely handle your car through turns, over bumps and even stop in time. When your shocks and struts are worn, your tires bounce excessively over bumps in our Nanaimo roads. Your vehicle will wallow through corners; your front-end will dive when you stop; and your rear-end will squat when you accelerate. All this hurts your ability to control your vehicle. And your ride just isn't as comfortable. Replacing worn shocks and struts saves money in the long run for our local Nanaimo drivers – and of course you can't really put a price on your safety and that of your passengers. We generally recommend replacing shocks and struts at 50,000 miles. When it's time for new shocks or struts, we've got you covered in Nanaimo. We can give you back the ride and handling of a new vehicle. And if you have special needs we can help you there too. We have premium shocks and struts that'll improve your performance. We can even help you with upgraded, heavy-duty shocks that'll give you the confidence you need to handle those big towing or hauling jobs. The main job of your shocks and struts is to keep your tires firmly on the ground. When shocks are worn, your vehicle won't handle as well and could even become unsafe. Replacing worn shocks and struts will extend the life of your tires and prevent other suspension damage. 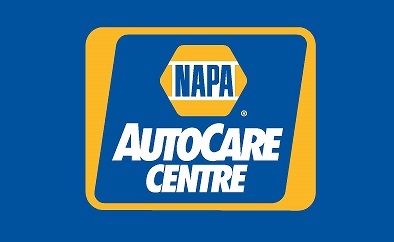 At Applecross Automotive in Nanaimo we install quality NAPA replacement parts. Give us a call at 250-390-2100 let us help keep you safely and economically on the road.